Tucked behind the University of Central Florida Police Department on Libra Drive sits a single-story, brick-facade building that houses UCF Facilities and Safety. There, about 100 people plan new buildings, maintain landscapes, create sustainability initiatives and more for UCF. Thousands of cars zoom past daily, but likely not many passersby realize it’s there. Hannah Hollinger is one of the few who does. A senior studying environmental studies, Hollinger became aware of UCF Facilities and Safety by being involved in Energy Knights, a student club that focuses on spreading knowledge of how to be more environmentally friendly. The Energy Knights’ president at the time told Hollinger that Facilities and Safety was looking for an intern. In July 2015 Hollinger became Facilities and Safety’s Sustainability Initiatives’ social outreach intern, in charge of marketing campaigns that can educate the UCF community on sustainability efforts. 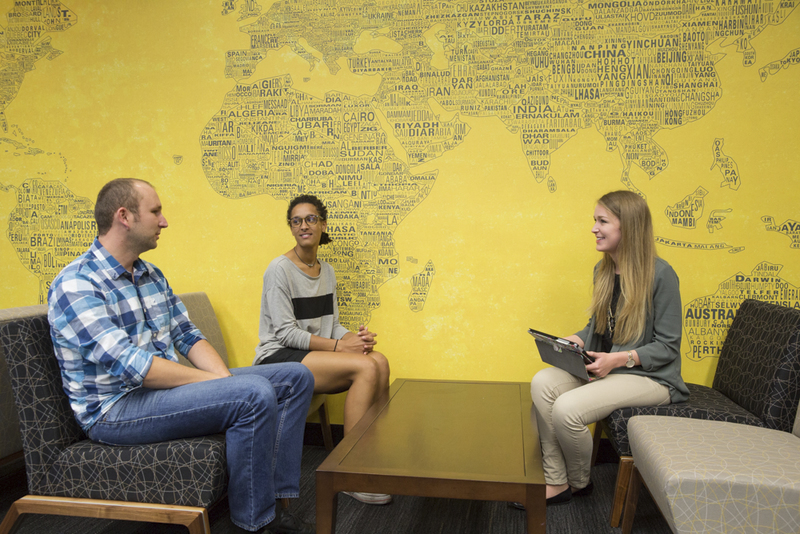 After a year of seeing firsthand how Facilities and Safety works to make UCF a more sustainable campus, she realized something was missing: student input. That’s what inspired her to create the Student Sustainability Advisory Committee, a 13-person committee that began last August. It gives students access to UCF’s faculty and staff Sustainability Advisory Committee meetings, and the opportunity to help improve UCF’s sustainability in return for internship credit. Students commit for one academic year to create proposals on how they think UCF can improve its sustainability and present them to SAC members who can help make them a reality. The first proposals are expected to be presented this month. Although there’s no guarantee the student ideas will be implemented, Hollinger is confident most are at least feasible. One proposal is a composting pilot program in The Burnett Honors College. Another idea is to take a plain exterior wall on campus and make it a green wall with plants hanging from top to bottom, which can improve air quality and overall quality of life. “We can utilize what used to be just concrete or drywall and make it into a living organism and a place you desire to be,” said Hollinger, who also is the Student Government Association’s health and sustainability coordinator. A third proposal is to create a community garden at Lake Claire where students can manage their own plot and grow their own fruits and vegetables. Targets of each proposal range from improving campus buildings, land, energy usage, food, transportation, waste and water. The creation of the student committee has been mutually beneficial for students and staff. Students get hands-on learning experiences outside the classroom, and in turn, Facilities and Safety has a stream of fresh, innovative ideas, said Yarazeth Watson Colon, coordinator of UCF Sustainability Initiatives. Even though Hollinger will graduate in May, the student committee will live on. “We want to continue having students come out of the classroom and into the field to help prepare them for the workforce that’s growing and changing,” Colon said. Hollinger first became passionate about environmental issues in her AP Environmental Studies class in high school where she learned the importance of the field and that its job demand was growing. 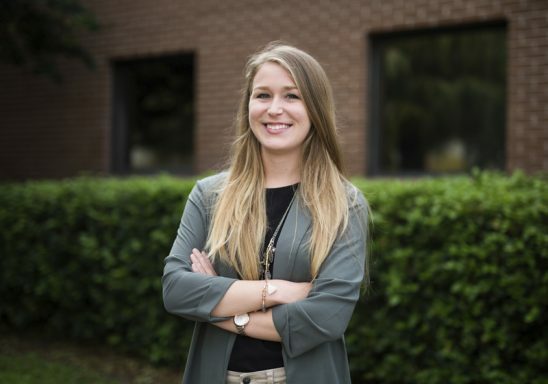 With a Pegasus Scholarship in hand and a growing passion due to the “climate-change uproar” at the time, as she calls it, Hollinger came to UCF in 2013 to pursue an environmental studies degree and a career in urban planning or public administration. As Hollinger’s time at UCF winds down, she can rest easy knowing her original mission of social outreach for sustainability initiatives at UCF has been successful.